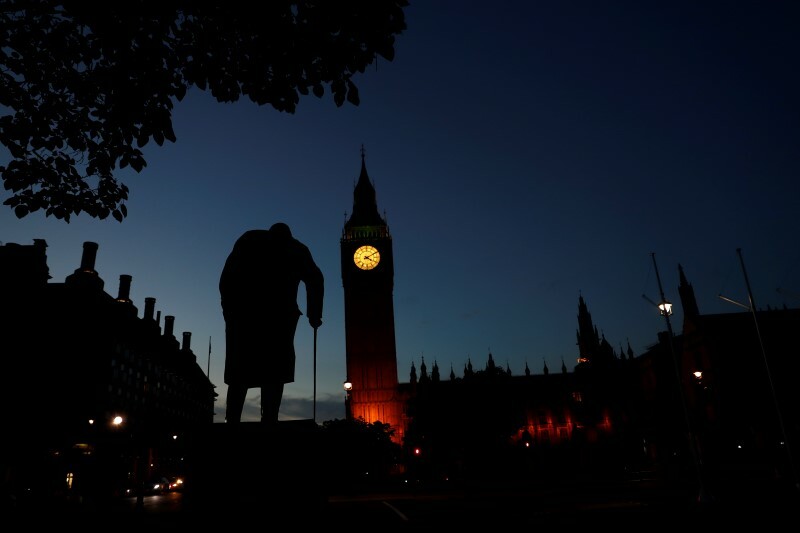 LONDON (Reuters) – Britain has voted to leave the European Union, forcing the resignation of Prime Minister David Cameron and dealing the biggest blow since World War Two to the European project of forging greater unity. 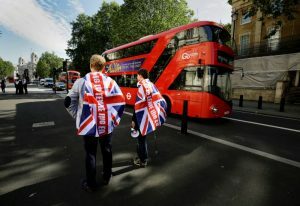 Global financial markets plunged on Friday as results from a referendum defied bookmakers’ odds to show a 52-48 percent victory for the campaign to leave a bloc Britain joined more than 40 years ago. World stocks saw more than $2 trillion (£1.46 trillion) wiped off their value. Big banks took a battering, with Lloyds, Barclays and RBS falling as much as 30 percent. The FTSE stock index recovered much of its early losses by the end of the day after the world’s main central banks offered financial backstops. The United Kingdom itself could now break apart, with the leader of Scotland – where nearly two-thirds of voters wanted to stay in the EU – saying a new referendum on independence from the rest of Britain was “highly likely”. An emotional Cameron, who led the “Remain” campaign to defeat, losing the gamble he took when he promised the referendum in 2013, said he would leave office by October. The EU, which rose out of the ashes of two world wars fascist and communist totalitarianism to unite a continent of prosperous democracies, faces economic and political damage without Britain, which has the EU’s biggest financial centre, a U.N. Security Council veto, a powerful army and nuclear weapons. German Chancellor Angela Merkel, who invited the French and Italian leaders to Berlin to discuss future steps, called it a watershed for European unification. Her foreign minister, who will with France present other EU founding members with a plan for a flexible EU on Saturday, called it a sad day for Britain and Europe. The vote will trigger at least two years of divorce proceedings with the EU, the first exit by any member state. 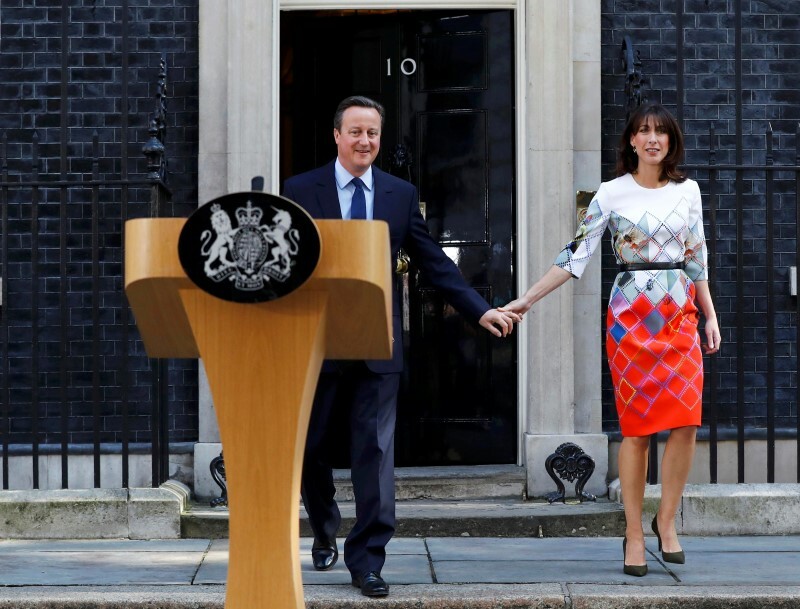 Cameron, in office since 2010, said it would be up to his successor to formally start the exit process. MPs from the Labour Party also launched a no-confidence motion to topple their leader, leftist Jeremy Corbyn, accused by opponents in the party of campaigning tepidly for its Remain stance. 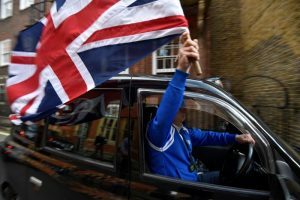 There was euphoria among Britain’s eurosceptic forces, claiming a victory over the political establishment, big business and foreign leaders including U.S. President Barack Obama who had urged Britain to stay in. The shock hits a European bloc already reeling from a euro zone debt crisis, unprecedented mass migration and confrontation with Russia over Ukraine. 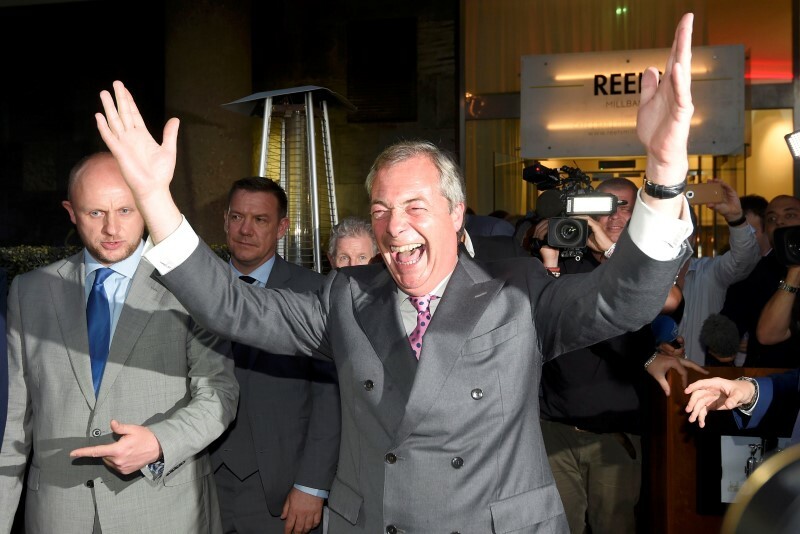 Support for anti-immigrant and anti-EU parties has surged across the continent. Britain has always been ambivalent about its relations with the rest of post-war Europe. A firm supporter of free trade, tearing down internal economic barriers and expanding the EU to take in ex-communist eastern states, it opted out of joining the euro single currency and the Schengen border-free zone. Cameron’s ruling Conservatives in particular have harboured a vocal anti-EU wing for generations, and it was partly to silence such figures that he called the referendum. 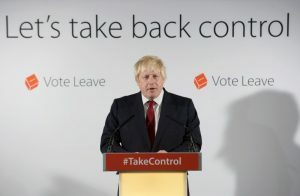 The 11th hour decision of Johnson – Cameron’s schoolmate from the same elite Eton private boarding school – to come down on the side of Leave gave the exit campaign a credible voice. World leaders including Obama, Merkel, Chinese President Xi Jinping, NATO and Commonwealth governments had all urged a Remain vote, saying Britain would be more influential in the EU. 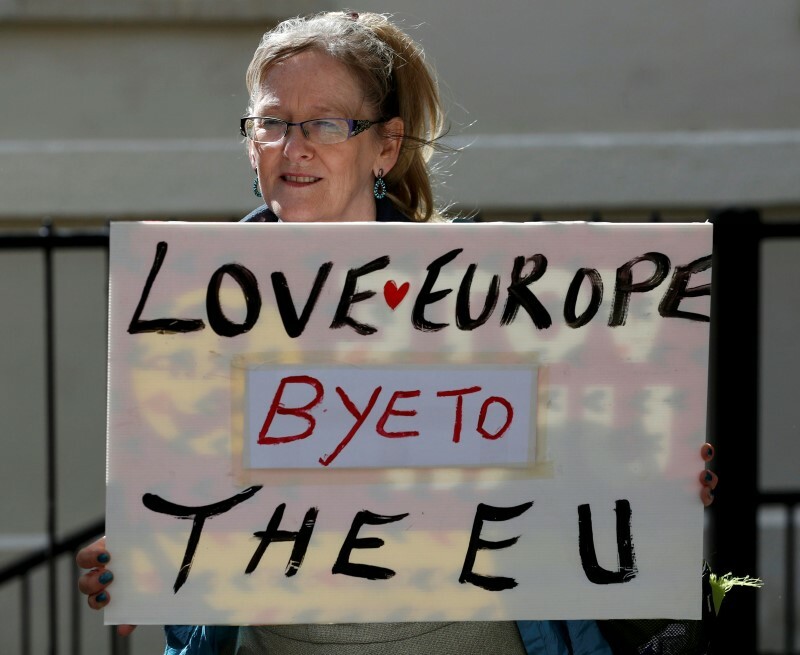 The campaign revealed deep splits in British society, with the pro-Brexit side drawing support from voters who felt left behind by globalisation and blamed EU immigration for low wages. Older voters backed Brexit; the young mainly wanted to stay in. London and Scotland supported the EU, but swathes of England that have not shared in the capital’s prosperity voted to leave. The financial turmoil comes at a time when interest rates around the world are already at or near zero. The shock could prevent the U.S. Federal Reserve from raising interest rates as planned this year or even provoke a new round of emergency policy easing from central banks. Left unclear is the relationship Britain can negotiate with the EU. EU officials have said UK-based banks and financial firms could lose automatic access to sell services in Europe. Huge questions also face the millions of British expatriates who live freely elsewhere in the bloc as well as millions of EU citizens who live and work in Britain.